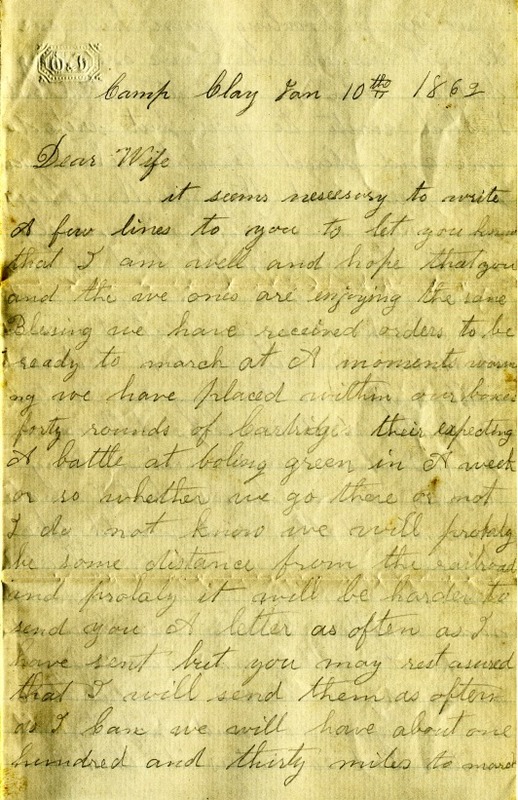 Images of the following letter were provided by Bob and Judi Hill. 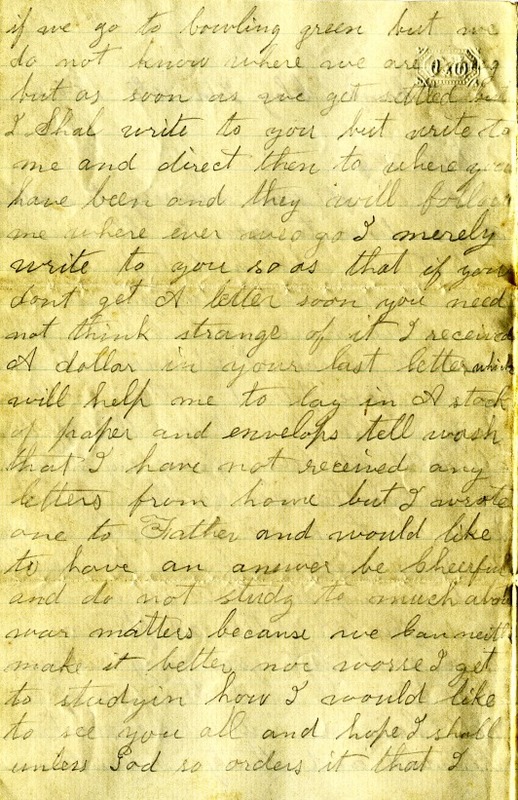 They were found in a box of papers owned by Judi's mother. 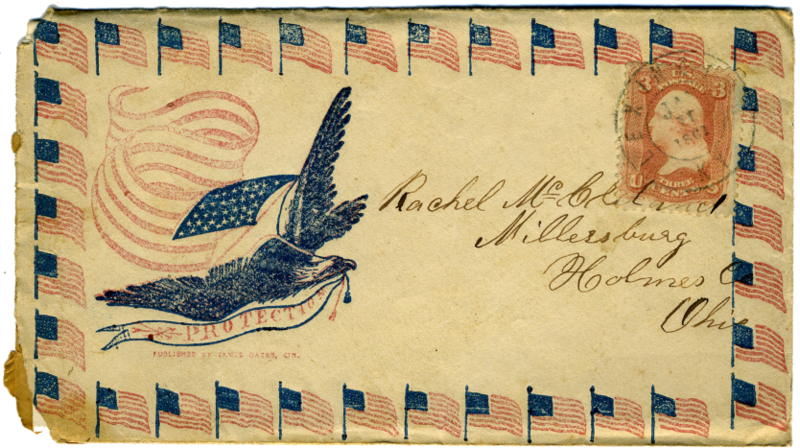 The letter is from Judi's ancestor, John F McClelland, a private in Company B of the 16th OVI, to his wife, Rachel Lockhart of Millersburg, Ohio. 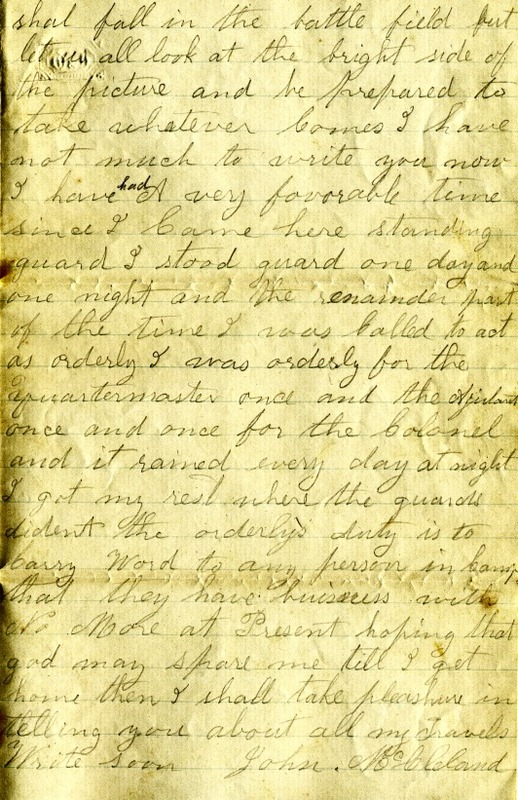 The letter was written from Camp Clay, located in Lexington, Kentucky, and where the 16th OVI and other regiments were staging for battle.